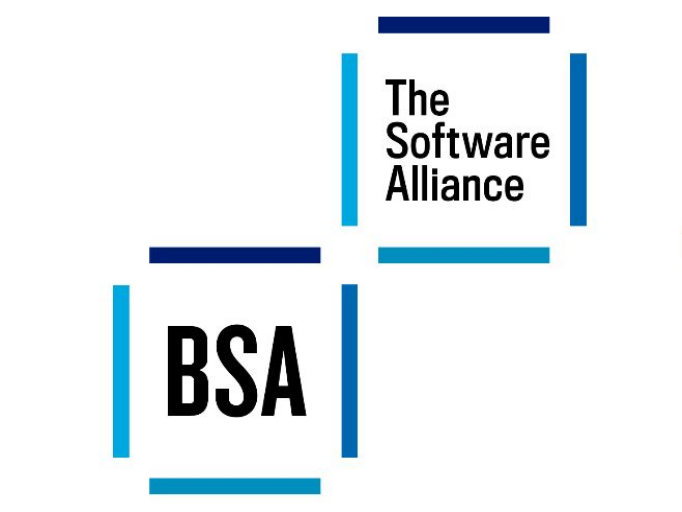 Galexia has worked extensively with the Brussels, Singapore and Washington BSA offices and has engaged with BSA stakeholders in more than 60 countries. 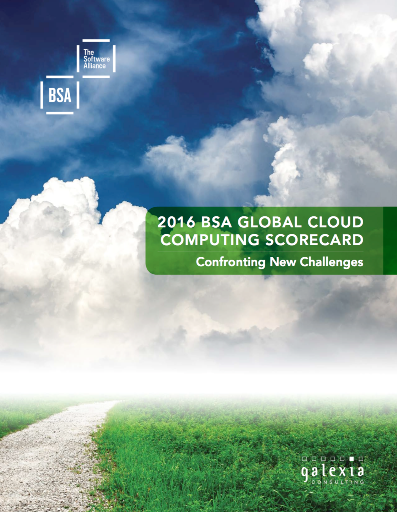 Galexia was commissioned to prepare the 4th Global Cloud Computing Readiness Scorecard, following the success of the earlier scorecards. 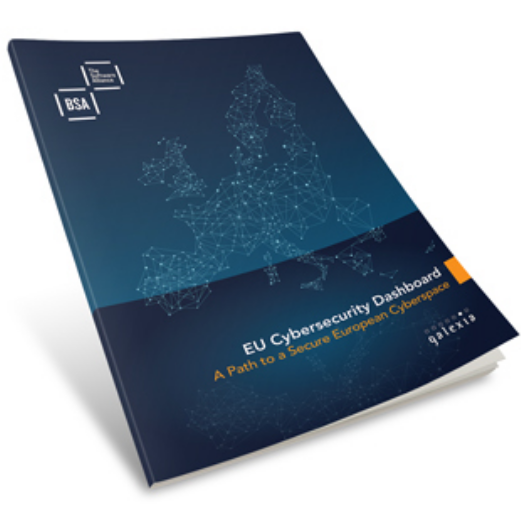 This report was released in March 2018. 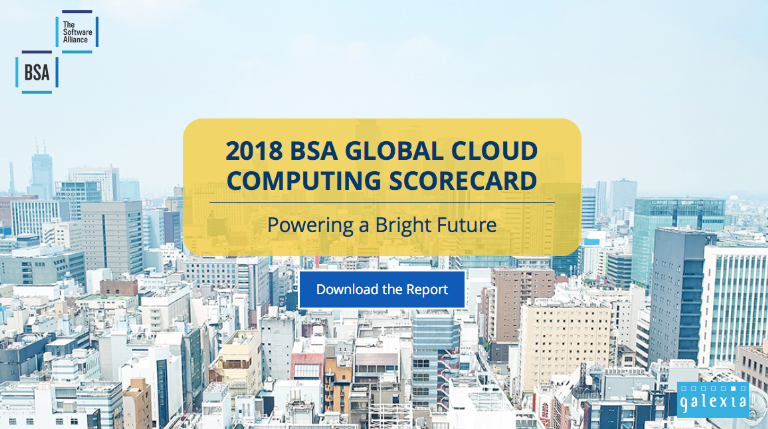 The 2018 BSA Global Cloud Computing Scorecard — the newest version of the only global report to rank countries’ preparedness for the adoption and growth of cloud computing services — features an updated methodology (from the 3 prior scorecards) to better reflect cloud computing’s exponential growth over the past five years, putting additional emphasis on policy areas, including privacy laws, cybersecurity laws, and broadband infrastructure. 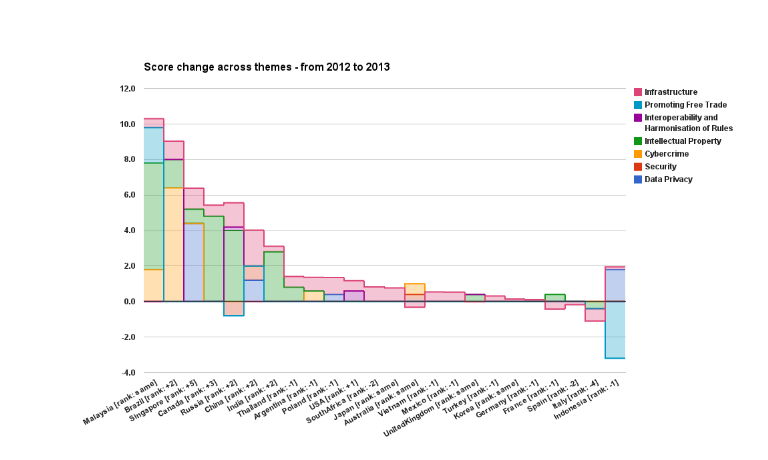 Most countries continue to make improvements, the study finds, but some markets are falling further behind. 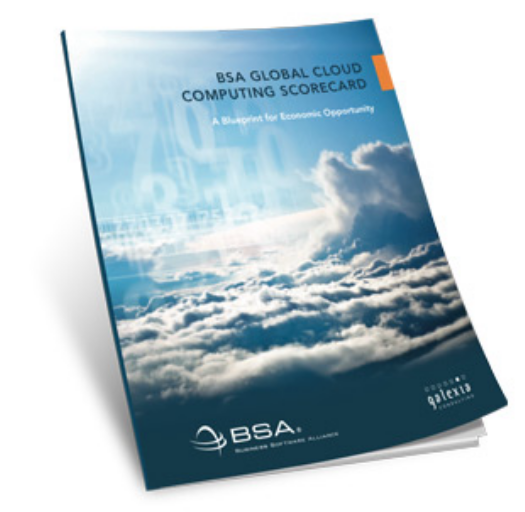 Galexia was commissioned to prepare the 3rd Global Cloud Computing Readiness Scorecard, following the success of the 2012 and 2013 scorecards. The report was released in April 2016. 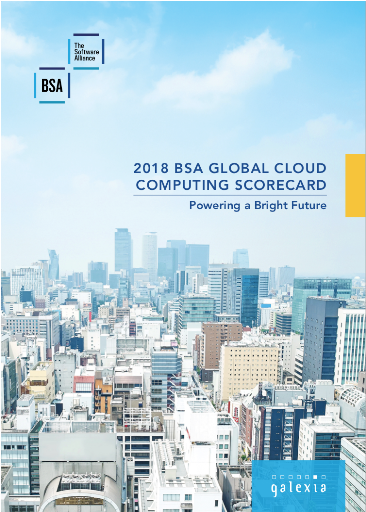 The Galexia / BSA Global Cloud Scorecard analyses the legal and regulatory framework and broadband infrastructure of 24 countries that together make up 80 percent of the global ICT market. 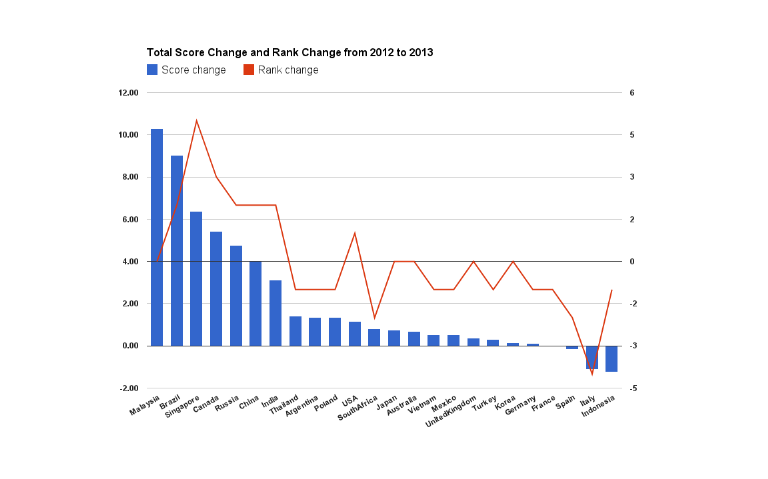 The analysis is grouped under seven policy categories that are central to the growth and operation of cloud computing. The study includes a detailed country-by-country analysis of legislation, regulations, case law, government policy and standards. The assessments include an evaluation of enforcement and implementation of existing laws in each country, as well as an assessment of compliance with relevant treaties and global agreements where applicable. The Scorecard analysis is based upon a combination of published information and statistics and evaluation by independent experts at Galexia. 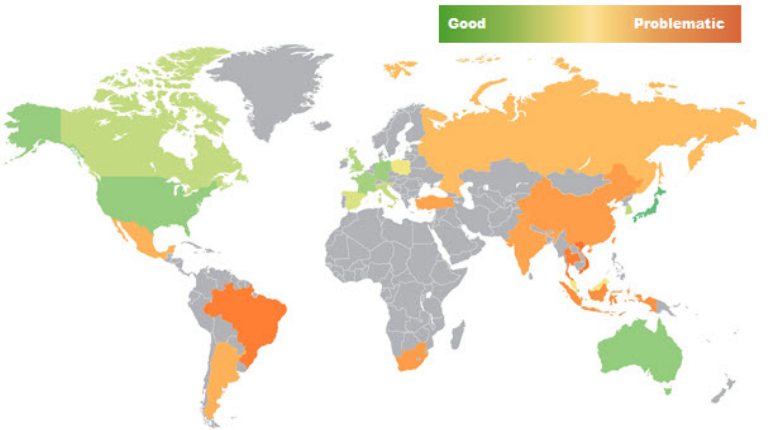 Global Cloud Computing Score Card (2013) summary micro-site - Browse themes and country summary reports in one document. 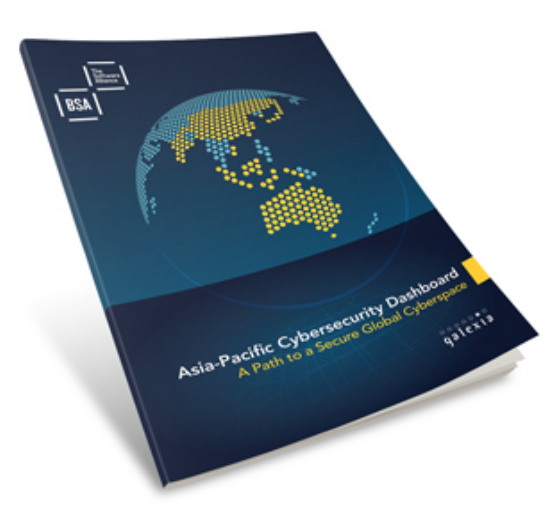 The first-of-its-kind 2012 Scorecard analyses and ranks the legal and regulatory framework and broadband infrastructure of 24 countries based on seven policy categories that measure the countries’ preparedness to support the growth of cloud computing. 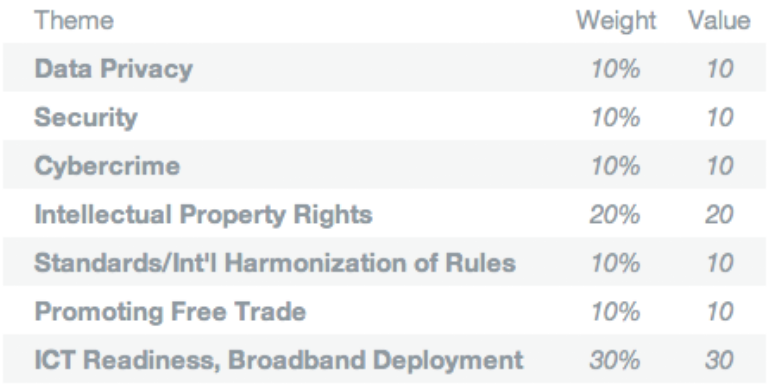 Together, these countries account for 80% of the global ICT market.